There are many myths and misconceptions regarding concealed carry in the United States. 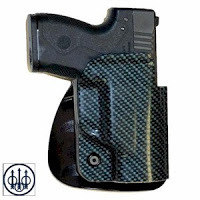 Some are related to efficiency of equipment like handgun selection, holster selection, defensive ammunition and tools for training. Others are connected to gender stereotypes and socio-economic norms. Personal responsibility, a commitment to relevant training and legal considerations are other areas that we all should continue to be mindful of. Physical strength and the strength of the human will to survive are additional topics for discussion. There are many areas that we will explore together through this series. In this segment, I would like to establish a baseline grounded in truth and focused on choices. The commitment to conceal carry is a very big decision and one not to be taken lightly. It is a lifestyle choice similar to your commitment to health, exercise, working hard in your job or to support your household. It is a willful choice that must be made with careful consideration before you begin. Unlike many of lifes learning opportunities, drawing your firearm to stop a life threatening situation, or failing to, is not something that you want to look back on with regret realizing that you were not really prepared. This is one aspect of your lifestyle that requires research, knowledge, mental preparation as well as the cultivation of the physical skill set necessary to optimize your ability to navigate a critical dynamic incident. This decision demands your full attention on the front end because without due diligence, you may not have an opportunity to look back and evaluate what you could have or should have done differently. There may not be a tomorrow for experience to lend itself to. Some decisions are final. My father always taught me to begin with the end in mind and think it all the way through. This has proven to be worthy advice in many areas of my life. It was and continues to be applicable to my daily decision to carry my firearm for the protection of myself and others. The everyday choices we make in life directly impact the quality of it. How you choose to protect your life and those you love is one of the most important factors to consider. Choices require an analysis of the pros and cons. Some require research and the counsel of those who are subject matter authorities. There are in addition moral considerations and matters of responsibility for our actions that come into play. Choices have consequences both positive and negative and our goal should be to position ourselves as advantageously as possible for a successful outcome. Though there are no guarantees and we cannot control everything, we each have a responsibility to ourselves and those that depend on us to give the time and attention to detail where personal safety and well-being are concerned. A common misconception about the choice to conceal carry is that having a firearm is enough. There is a serious differentiator that needs to be addressed. Checking the box on simply buying a gun and carrying it with you every day is a dangerous place to stop in the process. Unfortunately, many people take a required class or just simply fill out the necessary paperwork required to legally carry and stop there. An overview of these decisions can be found in one our most successful white papers: The 10 Most Important Things to Know About Conceal Carry. Many dont realize that there is so much more that goes into this choice. Getting the permit and the tools are just a part of the process. If you were going to build your own home for the first time, would you just apply for the building permit and then buy the tools and supplies without really understanding all aspects of how to build successfully? Thats a simple example, but in reality concealed carry is much more than a simple concept or a perceived easy solution to making you feel safer. Feeling safe just because you have a gun is a serious misconception. I always tell the men women and families that I train a simple key phrase: Feelings are not Facts. Just because you feel safe, does not mean that you are safe. This applies to many aspects of personal protection, but with regard to concealed carry, there is an important differentiator here. Before you make the decision to carry a gun there is work to be done on the front end that has nothing to do with the actual gun itself. Your mind is your primary weapon. Your ability to navigate a critical dynamic incident is directly impacted with the pre-loading of your decision making paradigm. The boundaries that you predetermine include proximity to a threat, how many verbal warnings will you give if any, the legalities involved, if you are alone versus if you have a family member with you, how many threats versus how many rounds of ammo do you have, how to determine the greatest threat if there are multiples or if a person that you know or love become the threat to you. These are just a few examples of things to think through and train through while preloading your decision making paradigm. Taking yourself through the mental preparation of what to do if and if this then that is a fundamental means of preparing to navigate those situations more successfully. Realistically none of us can prepare for every possible scenario. But what we can do is prepare our minds with informed, pre-loaded decisions about what choices we are willing to live with. Being as prepared as we can be in advance helps to minimize the negative after effects or potentially fatal effects of not being ready. I encourage each of you to think about where you are in your mental preparation for defending your life. 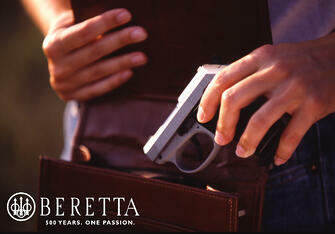 Your firearm is a tool to be used as an extension of the decisions and preparations you make in advance. If you believe that in your hour of need or moment of truth that somehow the skills and fortitude to act without hesitation will somehow miracle themselves into your brain and body, you are taking a big risk with your life and those you intend to protect. Are you willing to accept the consequences of that decision? We will discuss more on this topic in future posts and will explore this topic in more depth. For now, think about how much time you have dedicated to mental preparation. How seriously do you take your physical training regimen? What changes need to be made? Are you really ready? This series is designed to address some of the common misconceptions surrounding concealed carry that pertain to both men and women. Each topic presented is done so with hopes to stimulate your mindset, perceptions, training habits, purchasing considerations and overall belief system surrounding this life preserving commitment to your personal safety. Whether you are a seasoned concealed carrier, or just starting to consider it as an option for personal defense, my goal is to bring you relevant perspectives to lend insight into this all important aspect of your life.